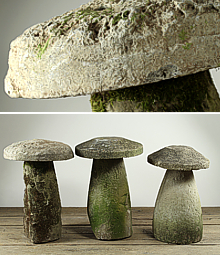 Staddle stones, or stone mushrooms as some people like to call them, date back to the medieval period and were used to support grain stores or other agricultural storage buildings. 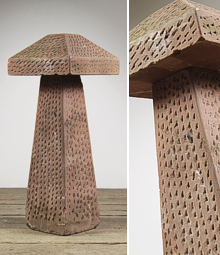 The word staddle is said to derive from Old English 'stathol', meaning a foundation. 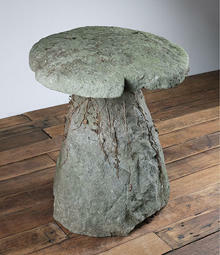 They comprise a tapering section of stone with a separate overhanging top, looking much like a mushroom. The purpose was to raise the grain store off the ground to allow free airflow, while the overhanging top prevented rodents from getting in. 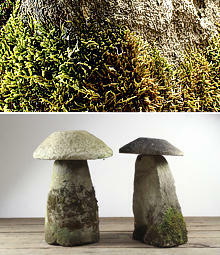 The staddles were set out in sets of as many as 16, with the floor frame of the building placed on top. 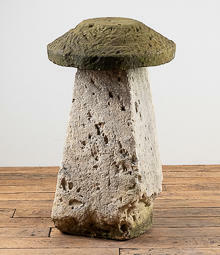 These days they make popular garden ornaments, and are especially used to line either side of entrance drives. 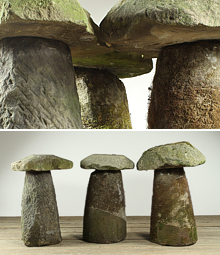 Staddle stones were usually made from locally available stone. 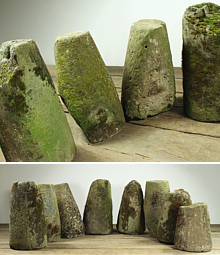 Herefordshire stone comes in a variety of colours: green, grey/green or reddish sandstone. 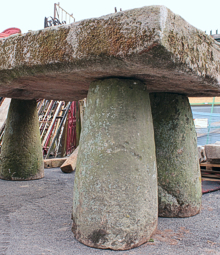 We also usually have antique staddles stones from other parts of the country, which include examples made from granite from the West Country, yellowy cotswold limestone and york stone from the North of England. 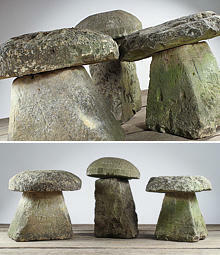 The design of staddle stones does vary, some are four sided, others rounded and the tops can be rounded, flattish or have have four straight sides. 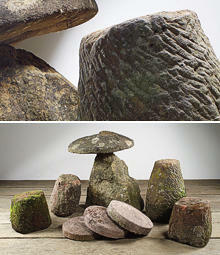 Most of our reclaimed staddle stones are well over 100 years old.